Xiaomi entered India with hopes of making a decent foray into the highly competitive smartphone market where right pricing equals massive success. Traditionally, Samsung knew this and Motorola stumbled upon it, Xiaomi should have known better. With the Mi3, the company woefully underestimated online demand and ended up discontinuing its sales soon, only to introduce a much cheaper model into the market, the Redmi 1S. On paper, the device is just too good to be true at the price point it comes at. For a shockingly low price of Rs. 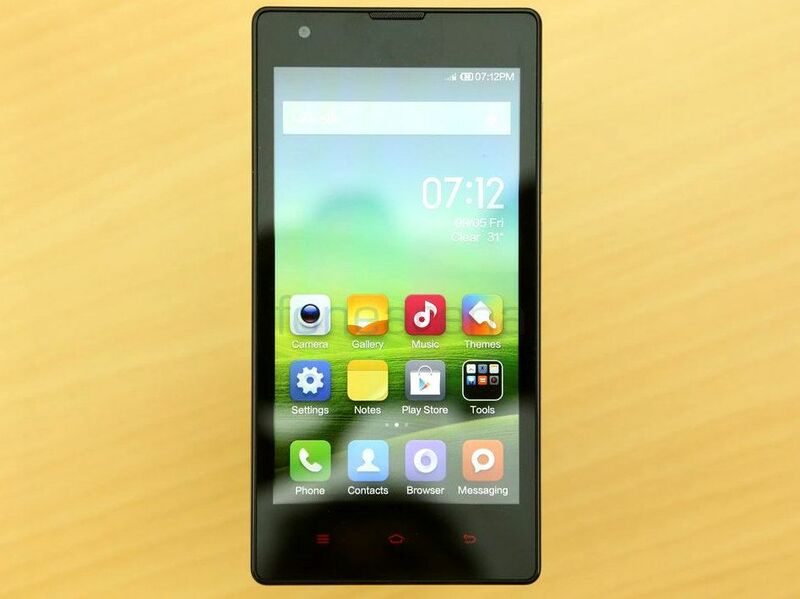 5,999, the Redmi 1S comes with a large 720p screen, a powerful quad core processor, a 8 MP camera, 8 GB of memory and so on. No other phone currently offers these kinds of specifications at this price point, but the natural reaction for something that’s too good to be true is always this – Is there a catch? 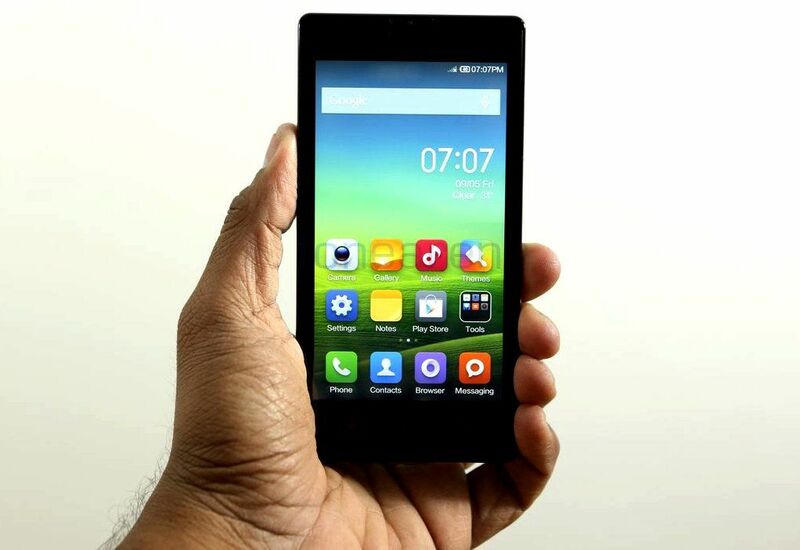 With the same doubt in our minds, here is the review of the Redmi 1S. 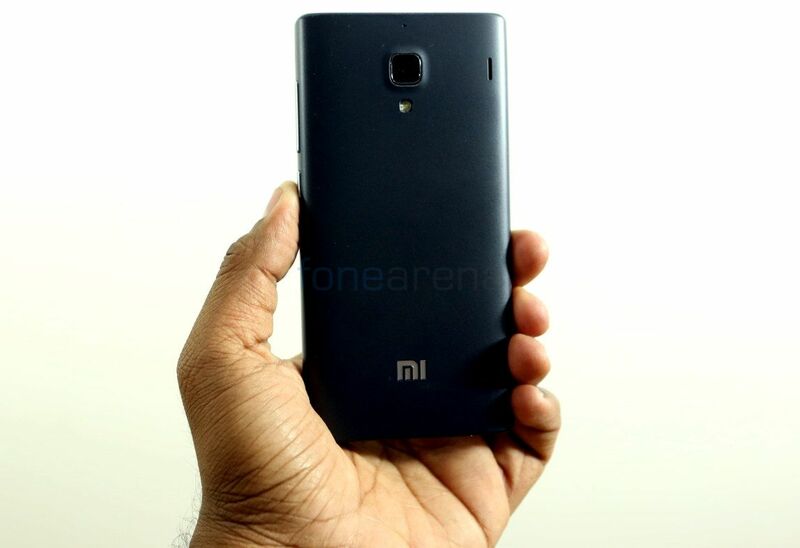 The design of the Redmi 1S is as generic as it can get. Bog standard, basic, uninspiring and blocky are some of the words that you can associate with it, but it’s not really a bad thing we’d say. The Redmi is really Smartphone Design 101 (2014), with it looking like a reference device at best, but also has elements meant to differentiate it, like the red capacitive touch buttons. It’s a “Red”Mi after all. The standard design is simple and familiar to anyone who has/hasn’t used a touch screen device and this is what counts for a budget device, we feel. Xiaomi is a Chinese manufacturer. Even if the reality is usually different, there is a stigma associated with cheap Chinese products having shoddy build quality. Sometimes, it is true, but the Redmi 1S ensures the breaking of that stereotype. The plastic used in the device is solid and reassuring, squashing any doubts of poor build quality. The matte finish plastic back cover is not only easily removable, but sturdy enough to withstand a couple of falls. But the solidity of this cover also means a heavier phone. 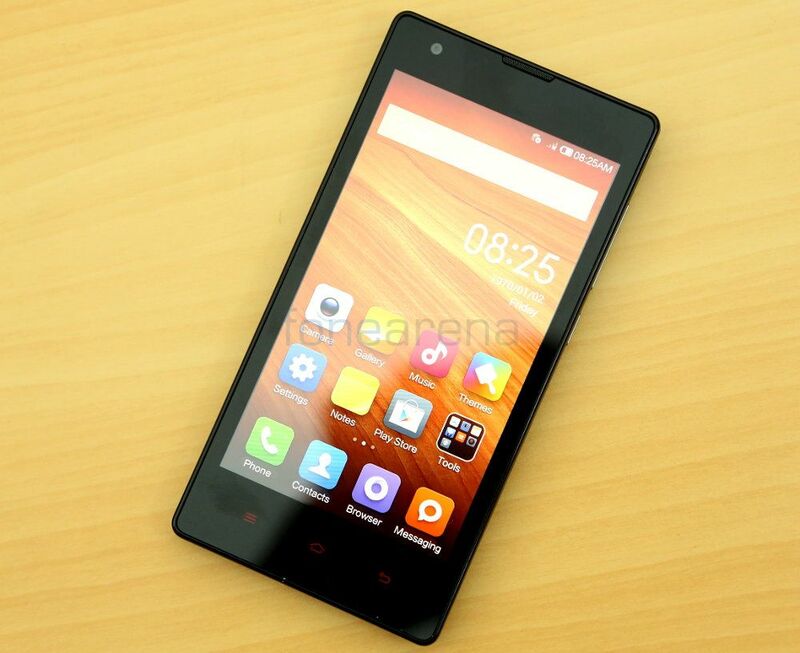 The Redmi 1S, at 158g, is heavy for its class and size, and is also thick by today’s standards, at 9.9mm. 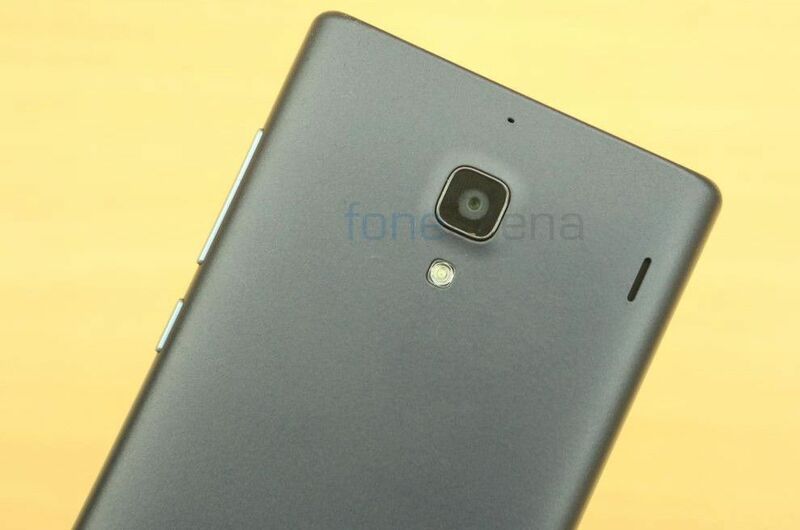 However, even with big bezels, the phone is not too uncomfortable to hold, as expected with most 4.7″ phones. 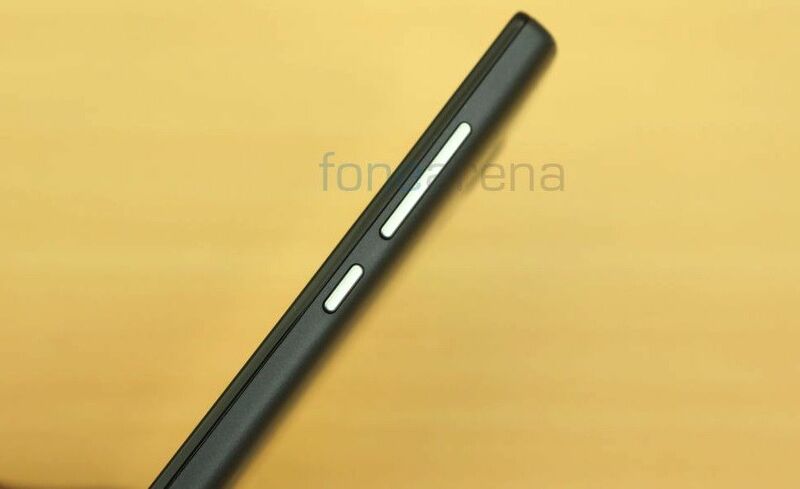 The Redmi 1S has a glass front, with a 4.7 inch display underneath. Below the display we have the red colored capacitive shortcut buttons, which echo the design language of all the Redmi devices. Just below the home shortcut button is the multi color notification LED. Above the display we have the ear piece and the front facing camera. The hardware buttons for power and volume are located on the right side of the phone while the left side is devoid of any buttons or input. 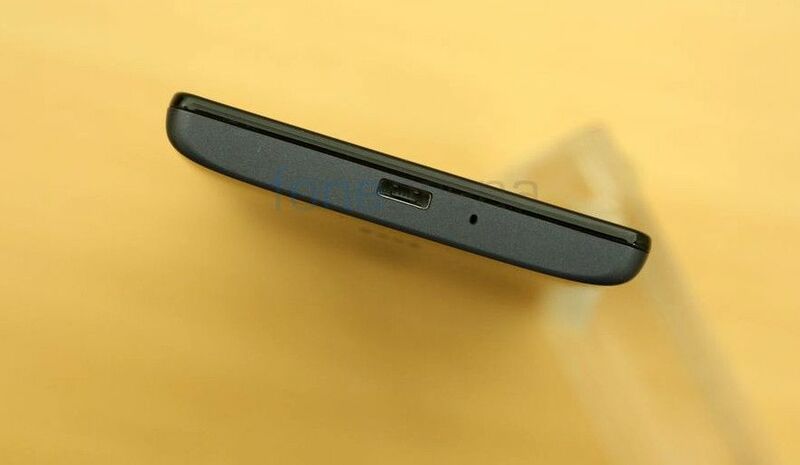 Talking of input, the micro USB port and the primary microphone are located at the bottom. 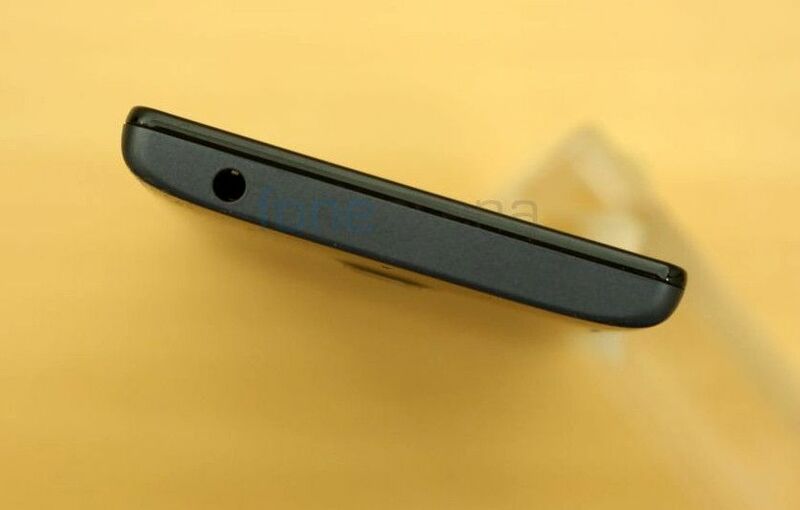 The top just houses the 3.5 mm audio jack. 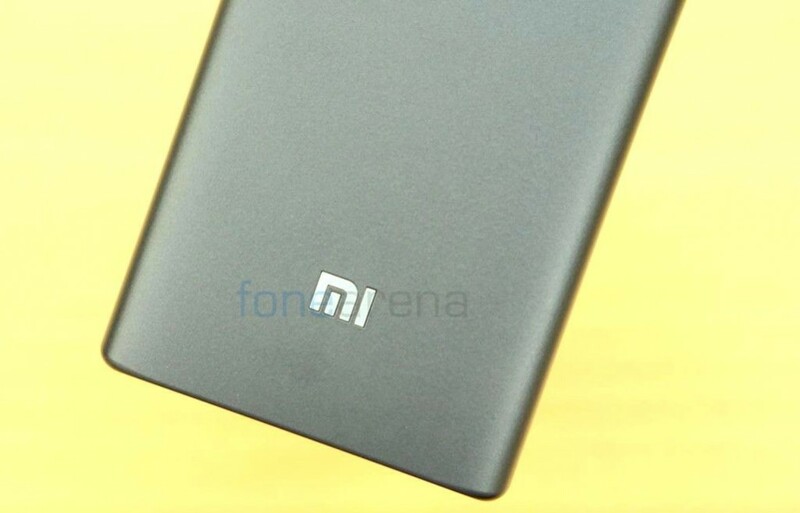 Turning to the back, we have the secondary microphone, the 8 MP camera unit, the single LED flash, the loud speakers and the Mi logo. Underneath the back cover we have two micro SIM card slots, a micro SD card slot and a removable battery. 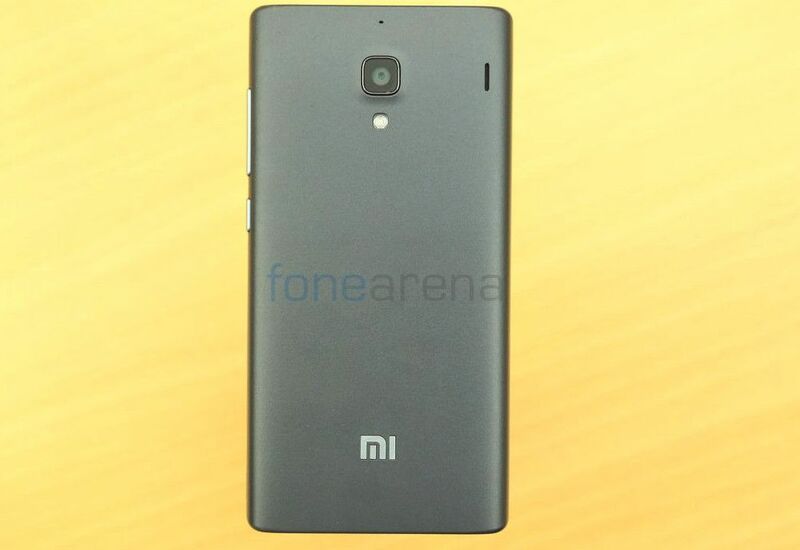 The 4.7 inch display on the Redmi 1S is a 720p screen. The resolution is usually reserved for phones that cost more than 10,000 rupees, when it comes to local manufacturers, while premium brands usually reserve them for costlier phones. So, at a price point that reaches the lower end of the market, the display outclasses every other phone that competes in that range. With great viewing angles, good colour reproduction and overall decent performance, the display shines, but is limited by the glass that protects it. The air gap between the glass and the display is so big that there is a lot of reflection going on, and it doesn’t help that the screen is also a finger print magnet, so outdoor visibility takes a hit, as a result. However, despite that, overall, the display is great for the price it comes at, and smudges can be prevented if you apply the free scratch guard that Xiaomi bundles with the phone. 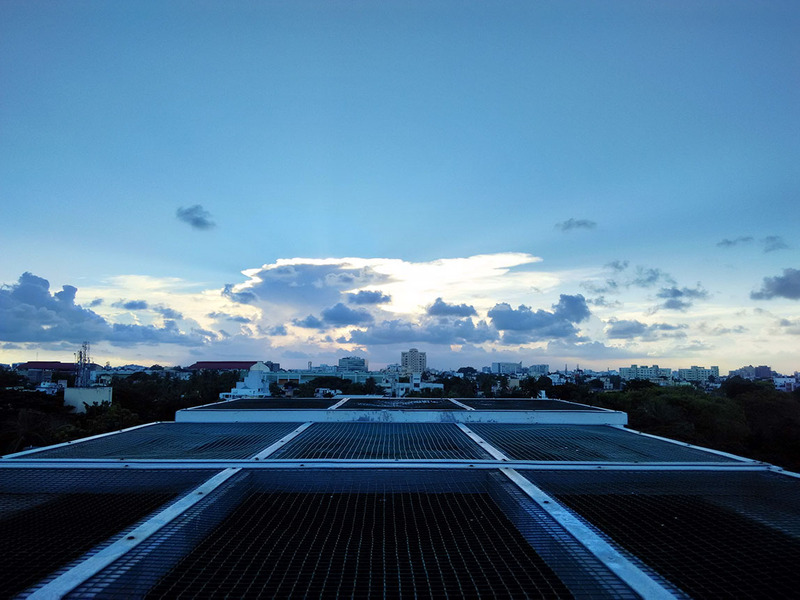 Lets start with a normal daylight shot, like the one above. We were pleasantly surprised by the performance in this photo, as it not only captured details well, but the colour balance is perfect. The photo looks exactly like how we saw it in person, except for the slightly overblown highlights, a compromises of small sensors in phones. 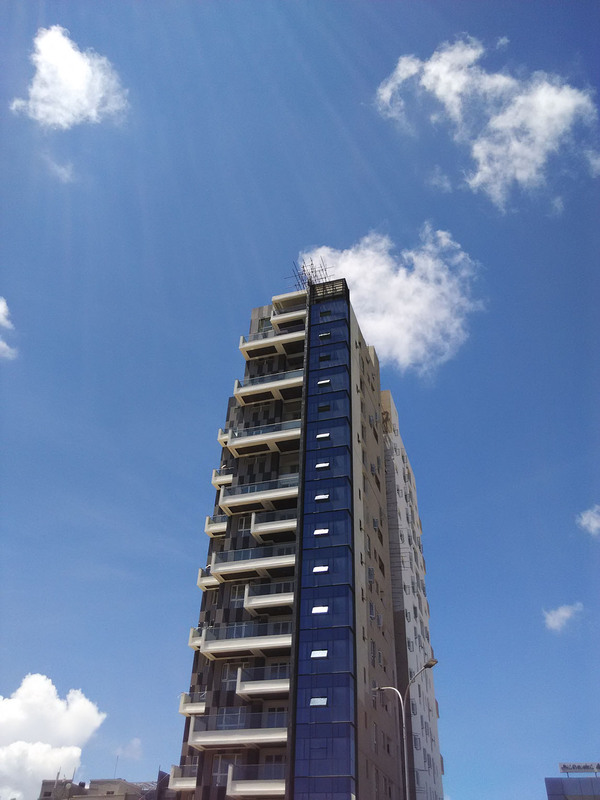 This photo, taken in broad daylight, impressed us again with spot on colours and even added some lens flare with the sun being overhead. The detail too is stunning for this camera, especially at this price range. Exceeds expectations, we’d say. This is the first HDR shot we tried, which turned out really well too. 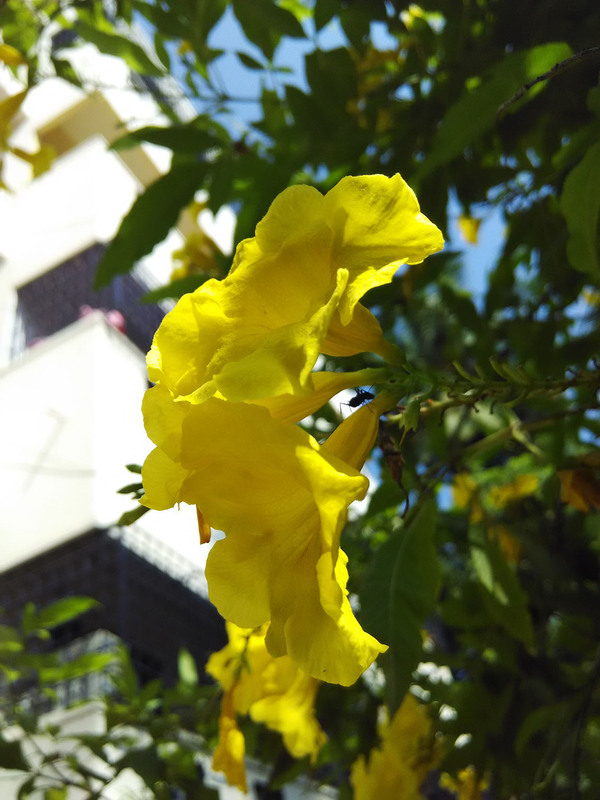 Xiaomi’s camera interface is packed with a lot of features, and if you had seen our Mi3 review, you’d have known how good it is. 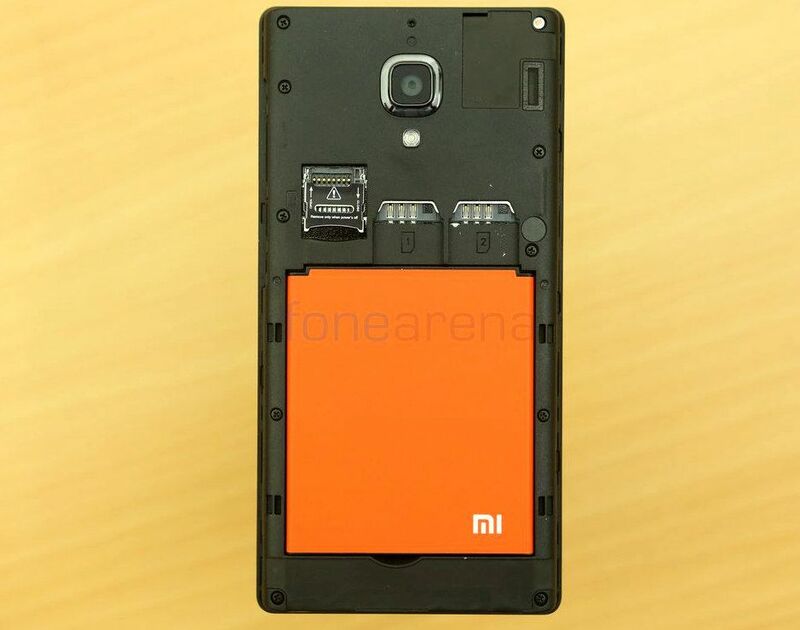 The Redmi 1S has the same camera interface, but some features are stripped down in accordance with the hardware. When it comes to the photo above, it is bluer than what it looked like, in real. 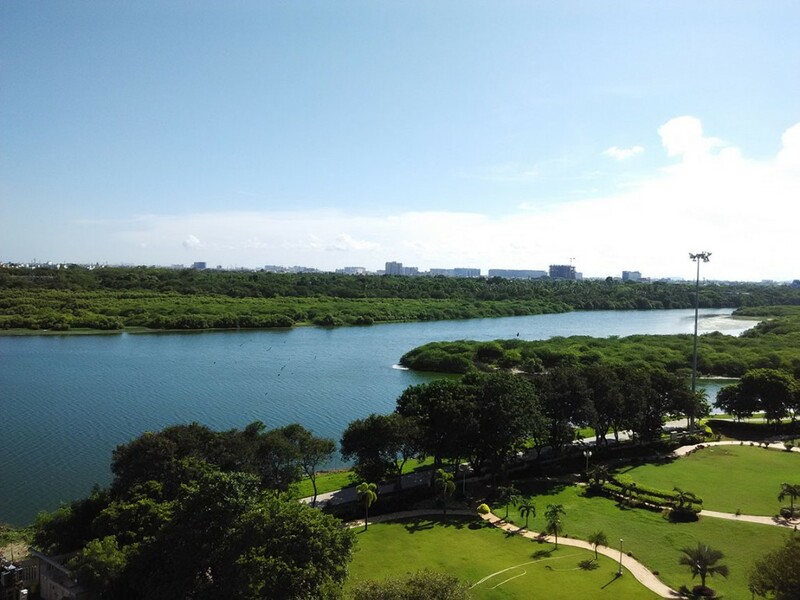 So, the colour balance is not right in HDR photos, but the dynamic range is impressive, as you can clearly see. 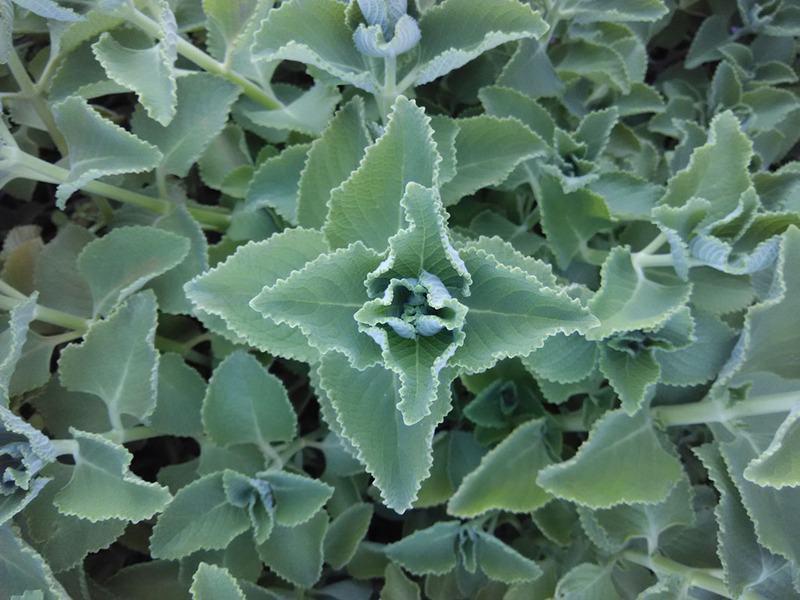 This photo was one of the first macro shots we attempted. There was not much bokeh as the subject wasn’t close enough, but the detail is really impressive. Take a look at it in full resolution and you’ll see what we are talking about. Another macro shot in which the colours are spot on yet again, and the bokeh this time is smooth and impressive. Do take a look at this in full resolution too, as the detail is really impressive, again. This is a really tough shot for any camera, with its variation in highlights and shadows. In low light, the camera is too slow, meaning our hands induces a lot of shake because of the slower shutter speed. We managed to keep our hands stable for this one, but you can still see that there is blurring due to movement and overblown highlights because of the overtly bright lights they had used for some movie shooting. While the photo is not that great, it is indicative of the low light performance you’ll get from the device. The Redmi 1S doesn’t disappoint when it comes to the camera. The interface is packed with many features that even enthusiasts would find useful. It’s also easily far better than anything at this price point, if that drives the point home once again. 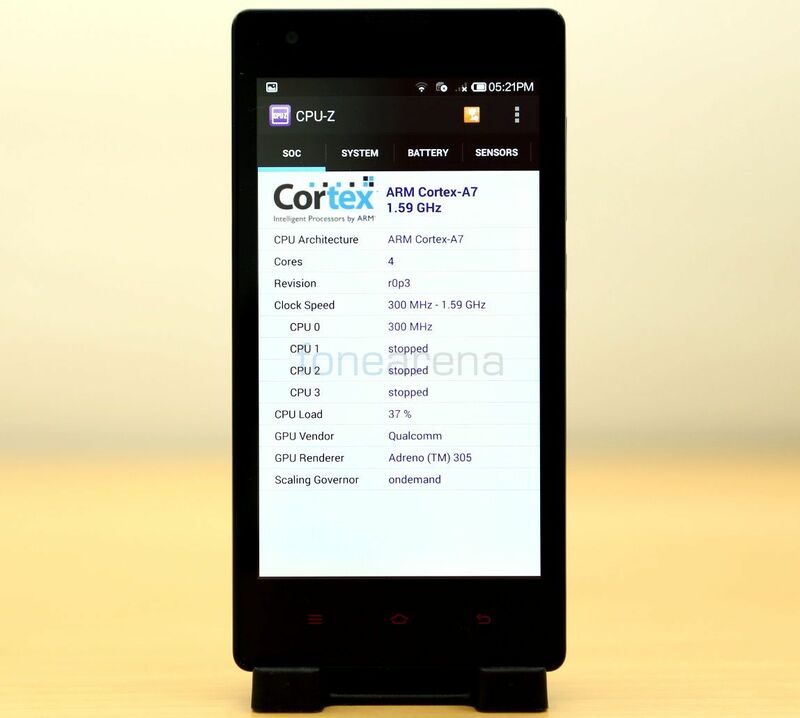 On the insides, the Redmi 1S is powered by the Snapdragon 400 chipset, with a 1.6 GHz quad core processor and Adreno 305 for the graphics. There is also 1 GB of RAM accompanying the chipset, to provide enough head room for multiple apps. As expected, the performance was pretty good overall, but there was a tiny bit of lag when too many apps are open in the background. A recent update has made RAM management better and we are no longer seeing many apps “refresh” their states, but it was indeed a minor issue before. Generally, you won’t face consistent slow downs or lags like its counterparts in the same price range, but the default browser is sometimes unstable. As you can see above, the games do run well, but overheating was an issue. But as mentioned earlier, the issue has been fixed in an update today, and since then the phone doesn’t heat up much. On the storage side, the phone comes with about 5.64 GB free space, out of the total 8 GB of internal memory. This is kinda sufficient for people accustomed to just casual gaming but for heavy users, the micro SD card slot would help for expansion. Apart from the SD card, if you still are looking for more storage options, then the USB OTG capability will help expanding it further. Regarding connectivity, you have all the usual options like 3G, WiFi, Bluetooth LE, FM radio and so on, with dual SIM connectivity also featuring on this phone. The two SIM slots are full sized and in case you have a micro SIM, the company gives free adapters so you can use them. 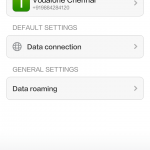 There are granular settings to data, SMS and calling options for setting defaults in either of the SIMs, which is all in the SIM management settings of MIUI. The music performance of the phone is quite good with decent earphones, but we found the loudspeaker to be sub par. It’s tinny most of the times and is not as loud as we had wanted. 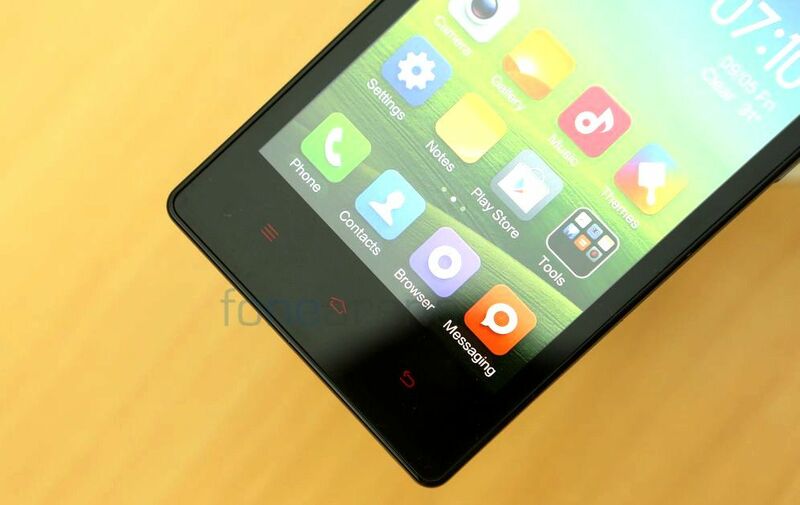 Unlike Mi3 or the other Xiaomi devices, the Redmi 1S actually comes with Android Jellybean, not KitKat. 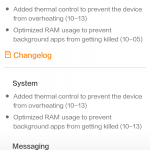 With the latest MIUI 45.0 update, the heat and RAM issues have been fixed, with further updates promised for the phone. If MIUI’s history is taken into account, there would be no problem in getting updates, as the community-driven approach makes sure that bugs are fixed as soon as possible, with new features added almost every month. The incremental nature of these updates make it more frequent than any other ROMs, which is good and keeps alive the hope of getting MIUI 6 on this device. When it comes to MIUI, it’s easily one of the most feature rich third party ROMs that have been available for many Android devices since ages. 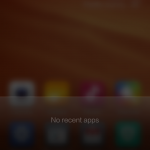 MIUI has a lockscreen and a homescreen, but that’s about it. There’s no app list or any other screen that takes your attention away, but of course there is a notification draw full of toggles that offer a lot of settings, a touch away. 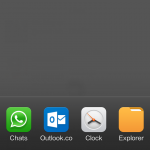 The usual features aside, the best thing about MIUI is its performance and personalization. Unlike other heavy skins, MIUI is really light and is zippy fast, even on the Redmi 1S. It doesn’t slow down at all, even when running many apps in the background, and that is a commendable thing. And there are even nice little flourishes like a “swipe-up” action on some icons reveals a fancy widget that’s overlaid on the screen. From what we have seen, it works with the Notes and the Music player apps, but we’d wished to see more. The default apps are beautiful and it easily has one of the most complete out of the box experiences, with apps for almost everything you need. Software wise, you are covered, if you are not really looking for the latest Android updates. 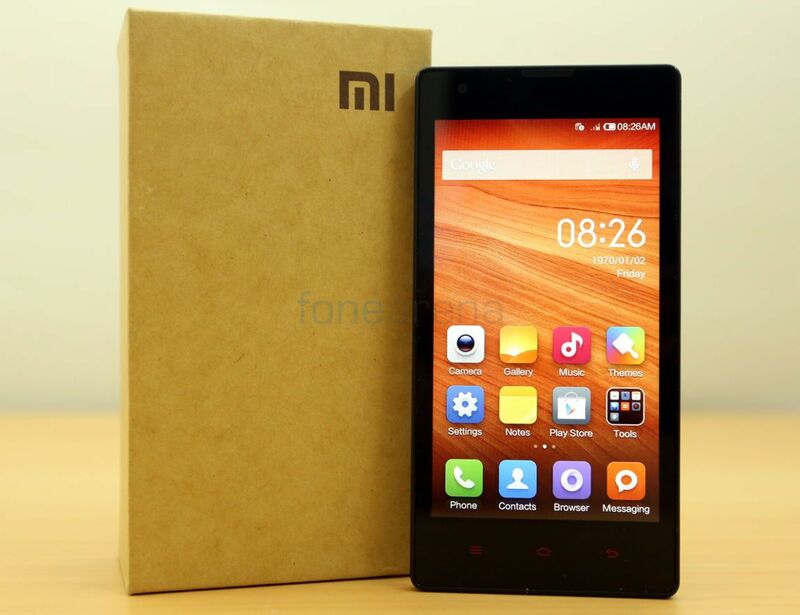 The Xiaomi Redmi 1s is equipped with a 2050 mAH battery which lasts for a day on average use. Even with single SIM use, the phone definitely loses steam by the end of the day, mostly because of the constant data usage. With a large 720p screen, we expected the moderately sized battery to perform adequately, but it fell short of expectations, as we saw it dropping charge way faster than what we had predicted. 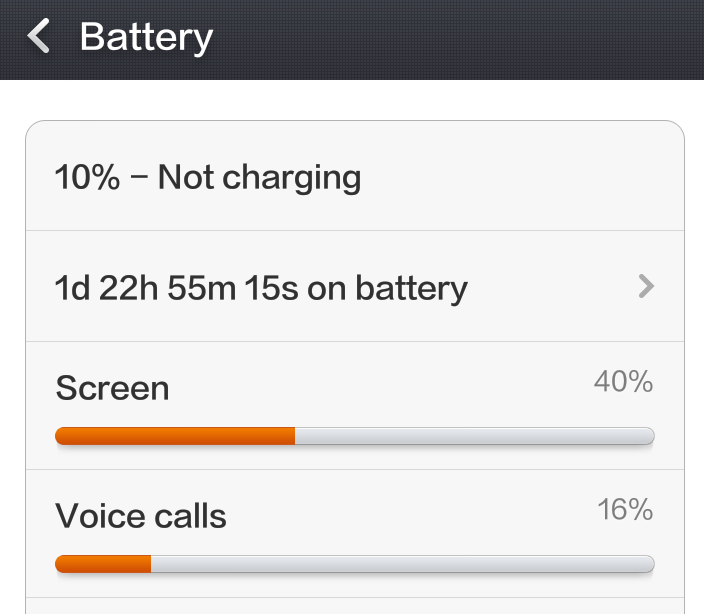 End of the day, you will need to charge the Redmi 1S for sure, and dual SIM usage makes it only worse. But with the number of options for granular control of what happens in the background, you can soon customize the apps that end up sipping more battery when left unconstrained. 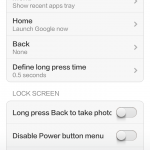 This way, you can improve the battery life for sure but don’t expect stellar battery life out of the box. The screenshot above was with average use, and is indicative of the performance you get in two busy days without heavy usage. To sell high-quality cell phones at so low a price, Xiaomi keeps each model on the market far longer than Apple does. On average, a new version of a phone is launched every 265 days in the industry – down from 345 days in 2009. But Xiaomi doesn’t renew its product for two years. Then, rather than charge high prices to cover the high cost of state-of-the-art components, Xiaomi prices the phone just a little higher than the total cost of all its components. As component costs drop over the two-year period by more than 90%, Xiaomi maintains its original price, and pockets the difference. When the Mi3 was introduced in India, the model was almost at the end of its life cycle, or so we had thought. 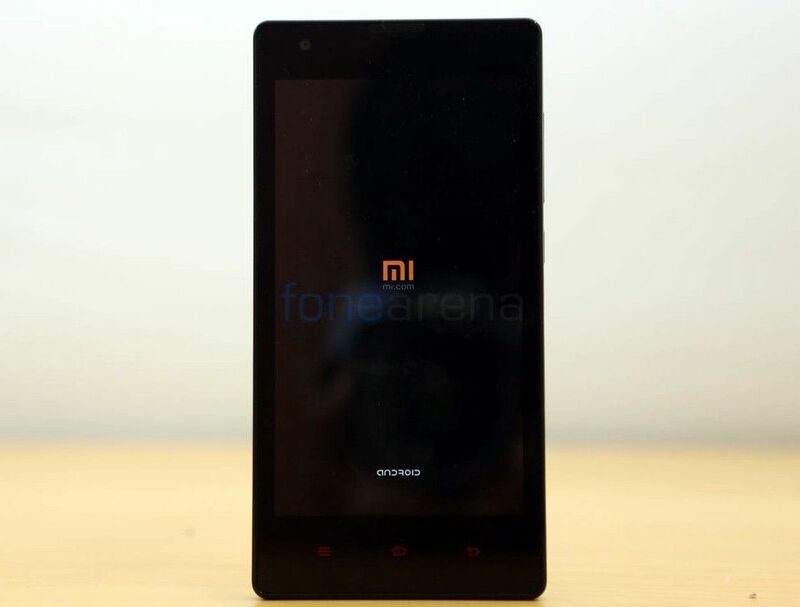 Same goes for the Redmi 1s too, as it was announced as the Hongmi 1S in China way earlier than its Indian launch. In China, Xiaomi makes money off services, accessories and many other things, but in India, the ecosystem is yet to be established, but the quote above paints a clear picture. Xiaomi is disruptive in every way, and is almost a household name now in India, at least within the urban crowd, thanks to the proliferation of e-commerce (Example: People in central government offices are buying Redmi 1S online). 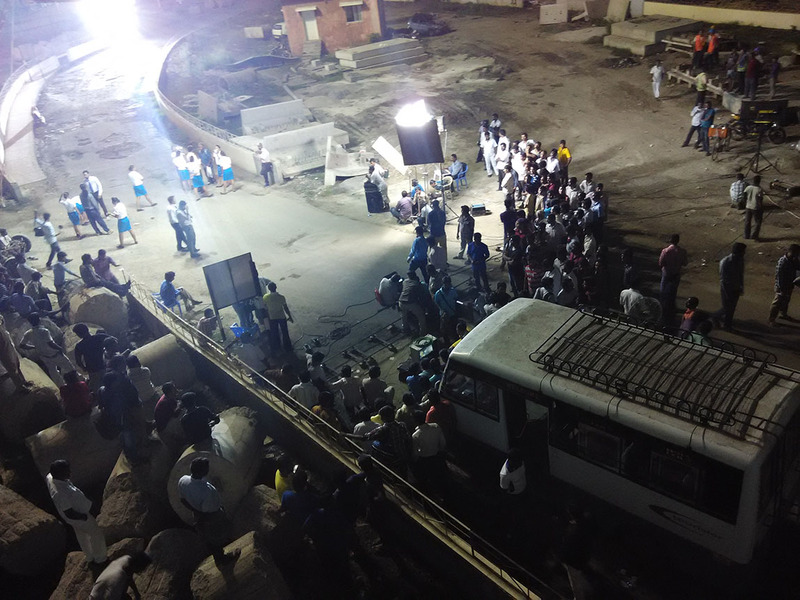 Sure, they initially expected much less in terms of demand, but having seen the reception, they brought in about 100,000 phones for the last sale, on a chartered flight. How about that! So, if there’s a catch, it’d be their unique business model that sets them apart and that’s how they keep their prices so low. It’s a long term game and every other company should be really worried of Xiaomi unless of course, they adopt a similar business model. 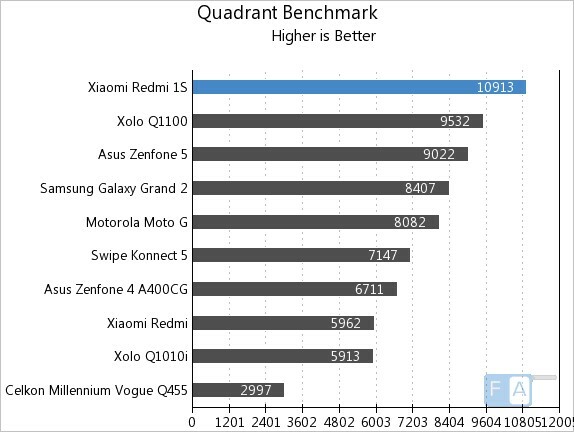 The Redmi 1S is easily one of the best budget smartphones that you can buy in the market right now. Yes, it’s availability is restricted to online, especially on Flipkart, but it hasn’t stopped more than 200,000 people from buying it. So, if you are still on the fence, don’t think about it. It has a great screen, a decent camera, great performance and offers them at a price other companies are struggling to match. 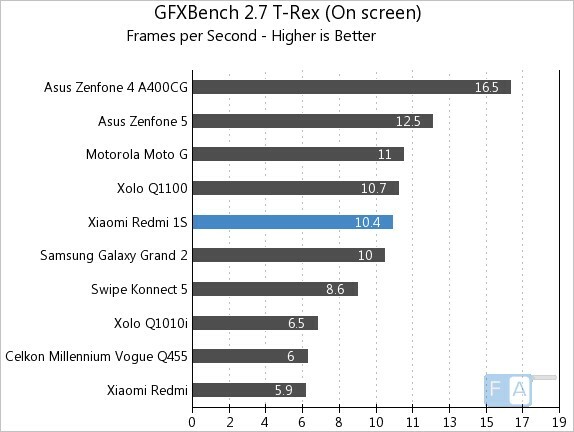 Minor issues like overheating, which has been fixed in an update, and average battery life aside, the Redmi 1S is clearly class leading and, as mentioned before, one of the best budget smartphones ever made. It could be the Nokia 1100 of this generation, for all we know.